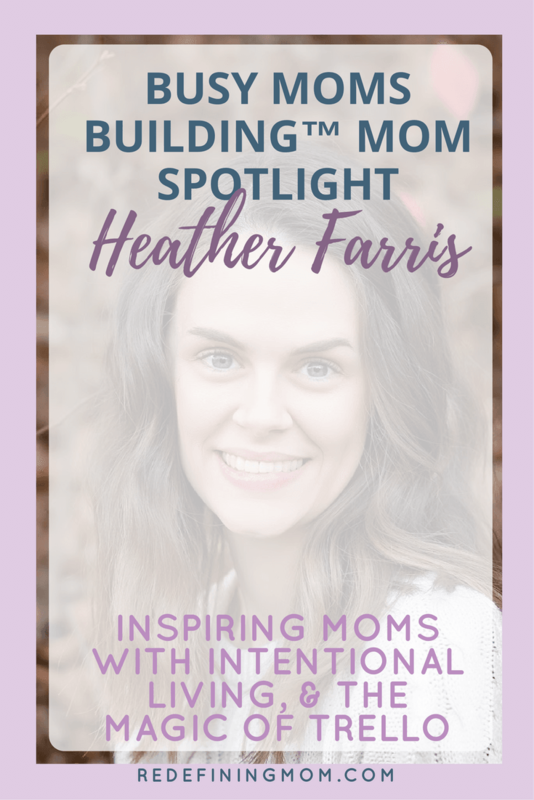 This week you get to hear from Redefining Mom’s own business manager, Heather Farris. It’s only fitting that she be in the first mom spotlight because she fits the role perfectly! 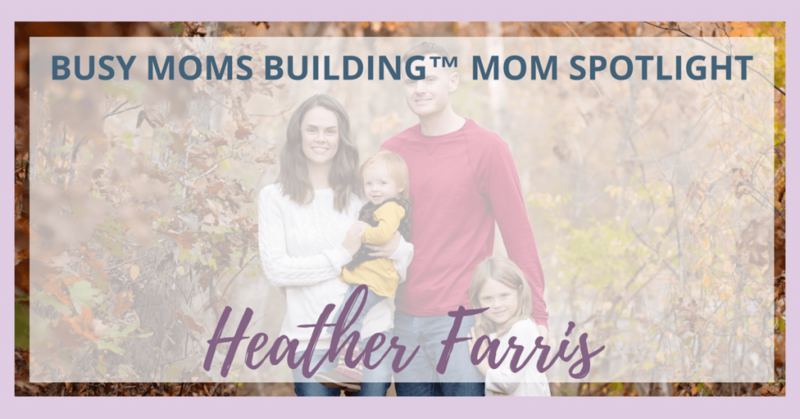 Heather is one of the most hardworking business moms I know. She currently works full time as a bookkeeper. 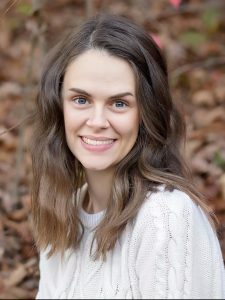 On the side, she is consistently growing her own blog, creating her own products, and working as a virtual assistant with multiple clients. Her husband is in the military, so she’s occasionally left alone to care for her two daughters. Her priorities are replacing her income so that she can be at home, and help support her family doing things that she loves. 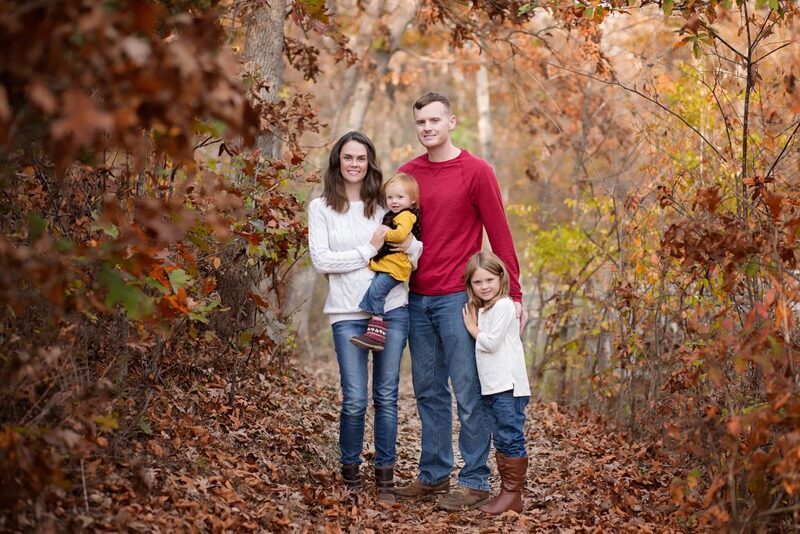 She dearly loves her little family of four and wouldn’t have things any other way. 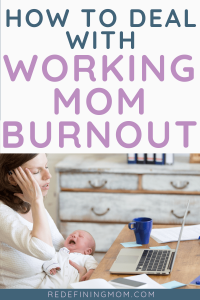 I started my business and website The Balanced Mamas after 9 months of research and reading. 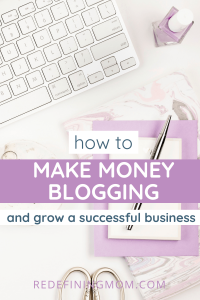 I had tossed around various ideas like a drop shipping company or bookkeeping business before deciding on a blog. Those ideas had sounded great, but I didn’t feel like they spoke to my dreams. When I thought of what I’d be doing every day with any other type of business, it just seemed tiring. Instead, I found the incredible outlet of blogging. Soon after starting my business in September of 2016, I began creating products and that’s brought me to where I’m at today. 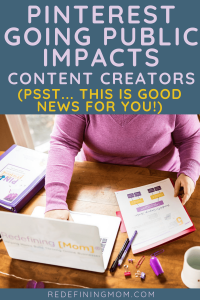 I wouldn’t consider myself a creative entrepreneur, but I do love helping moms feel secure on their journey through motherhood. I started my business because I’m a very ambitious person. I have never felt like the 9-5 job was for me. People all over the world get calls saying they “got the job.” But I’ve never been super excited about it. I am to that point in my life where I feel a greater calling. I am tired of others telling me what I’m worth. Sure, working and getting paid is great. But I am to that point in my life where I feel a greater calling. It all really comes back to the fact that I am tired of others telling me what I’m worth. Who are you looking to help and why? 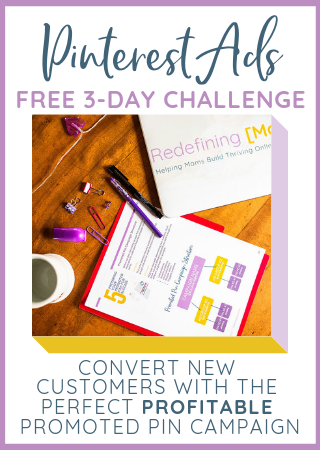 My mission is helping moms by providing inspiring and practical tips to help them in their daily lives. 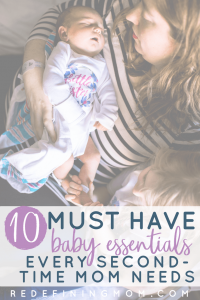 For when they are planning their family budget, find peace in knowing they are a good mother or attempting to have a purposeful life with their family. I get up at 6 am and brew a cup of coffee. Then I get my girls breakfast on the table before I get them out of bed. After that, we all sit together at the dining room table to eat. While they eat, I read. I like to read books that fill my soul first thing each day. Right now I’m reading a book to help me get in touch with that inner mom that I’ve always wanted to become. After that, we get ready for the day and head out to school and work. I do still work full-time so my business gets worked on when I find free time throughout the day. I do spend every lunch hour working on my business in some form. When I get home at 5 pm I workout, cook dinner, and we have family time until 7:30. Then it’s bedtime routines and I transition to the business owner. Whatever task I have set for that day that didn’t get done earlier, I pick it up and hammer it out. I try to be in bed by 10 because I’m a cranky person if I don’t get 8 hours of sleep. The biggest obstacle I face is fighting past the unknown. I literally started this from scratch after taking an email course of Monica’s. 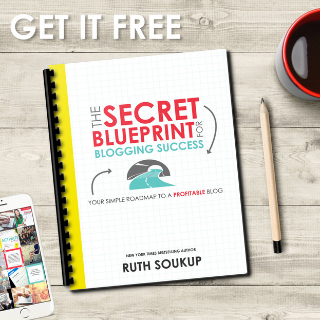 I had a vague idea of what I wanted and I knew you could make money online. But beyond that, I knew nothing. I still never feel as if I’m doing the right thing or that I’m doing it well enough. How do you plan on conquering this obstacle? I plan on conquering this feeling of insecurity and guesswork by just testing the things that I’m doing. I will never get better or find my calling if I don’t just put myself out there. So that’s what I’m doing. My superpower is the ability to network more effectively than I think I do. First, use Trello, then plan your week out and break each day down. I plan my weeks on Sunday and I project block my days since I still work full-time. Each day is a certain task, and if I don’t finish it, then it gets moved to my catch up day on Fridays. This method of planning has kept me on task and helped me to not waste my time every day. I can really see what I need to be doing that will provide a return on investment for everything I do. What gets you motivated in your business? *The links to the books Heather recommends are affiliate links. This means I will receive a commission, at no cost to you, if you purchase the books through my link. I listen to The Strategy Hour and Biz Chix podcasts frequently. I typically read business type books such as Launch or Influence, The Psychology of Persuasion. Beyond that, I don’t read much or watch anything except training I’ve purchased. You can find me at The Balanced Mamas. 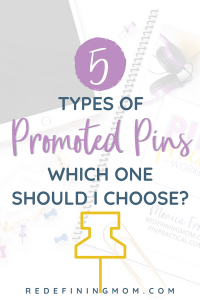 I’m also on Instagram, Facebook, and Pinterest @thebalancedmamas. You can get my free meal planning Trello board and get your family meal planning organized! 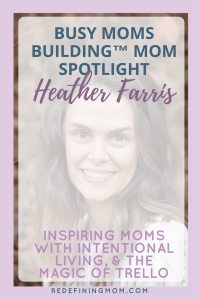 Heather – I’d love to know what book you’re reading to help you get in touch with your inner mom that you’ve always wanted to become.